A Pre-MLS and Private Real Estate Listing Marketplace. 3825 Lake Austin Blvd, Suite 501 AustinTX787. I provide exclusive seo services to local companies. A decorating blog featuring DIY, how to & inspirational pictures. Email Customer Service Number Co. 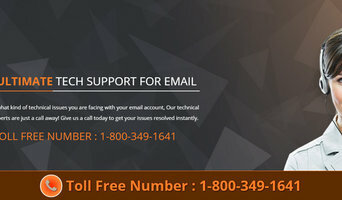 The technical Email Customer Service Number 1-800-349-1641 specialists who react have numerous times of understanding added to their repertoire and they are generally talented with an assortment of things. For instance, when you ring for Hotmail help, the individual reacting is talented in giving email specialized help, as well as enable you to out with whatever other issues that you might confront. Your Decorating Resource is a clearinghouse of home-fashion news for consumers, decorative artisans, painters, paperhangers, interior designers and other professionals. On the site are decorating tips and techniques, color and design trends, fun and useful products, "green" decorating, people making a difference in residential and commercial design and other news in home fashion. 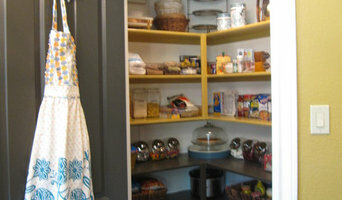 The site also has a "faux porthole" of ideas, tips and inspiration especially for decorative painters. Site co-founders and editors Tammy Adamson-McMullen and Diane Capuano Franklin each have more than 25 years of experience reporting on and extensively covering the home furnishings industry. Collectively, they have written thousands of decorating articles and edited several related trade publications. They also are the principals of Franklin McMullen Communications, a public relations and marketing firm helping clients with a wide range of editorial and event planning services. Lifestyle bloggers. Content Development and Website Design/Deployment for Custom Builders, Realtors, Loan Officers. Create the home that you love. 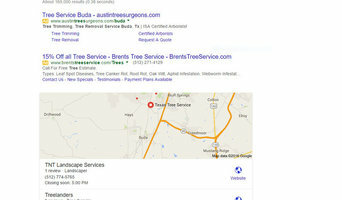 Certified Arbor Care is a professional tree service company located in Austin, Texas. Our team of ISA-Certified Arborists have the knowledge and experience needed to solve any tree-related problem you encounter and they pride themselves on their excellent quality of work and speedy response time. Whether you need tree trimming, pest and disease control, or emergency services, you can count on Certified Arbor Care to complete the job with the utmost professional care. We are passionate about trees, and want to help you maintain the integrity and beauty of the greenery on your property. Thanks for visiting Apollo Venti on Houzz! Our mission at Apollo Venti is to provide you a selection of pieces to inspire your home/work spaces. Pieces to begin, fill, or finish a room where you feel like your best self in that particular place. Our aim is help create flow in the spaces you spend time in so that they flow like poetry with the products we offer. We offer everything from lighting, fans, art, rugs, to most related things in between. What is Apollo Venti? Apollo and Venti are taken from Roman Mythology for deities that inspire our mission here. Apollo has been variously recognized as a god of music, healing, plague, poetry, truth & prophecy, and the sun & light among other things associated with him. Venti is known in both Latin and Roman Mythology for winds with detities that are equivalent to Greek Anemoi. We are based in the Austin, Texas area and distribute throughout the US through our partners FedEx, UPS, Freight LTL, and others. Please feel free to reach out to us below with any questions, suggestions, or feedback. Apollo Venti <a rel="nofollow" target="_blank" href="https://apolloventi.com">https://apolloventi.com</a> 512-856-517 Thanks for shopping with us! Design by Solutions is a full service professional web design company and hosting company with emphasis on helping companies achieve a great online marketing plan to gain advertising in key target areas. Social media writing, social media marketing, blog writing, training, consulting, and employee development are also offered. Design by Solutions offers everything in one place. We create a solutions by design. VBX is the oldest most respected construction news service in Texas. Founded in 1900 as the Builders Exchange of Texas, we've served the construction industry since bid results where posted on black boards and mules pulled supplies to the job site. Today, we provide the most sophisticated online plan distribution and document management service available anywhere in the United States. Throughout its long history, the Builders Exchange has been just what the name implies – a place for construction professionals to find and exchange critical information during all phases of the construction process. If you need bidding information or a list of qualified contractors, document management services or a snapshot of current market conditions, please give us a call. We believe that experience counts and customer service never goes out of style! We are a boutique digital marketing firm that specializes in all things about social. We look to regional, national and international interior design blogs and other media — such as Texas magazines, newspapers, books and websites — for the latest in trends on home decorating and design. In addition to providing information on what's new in the design world, they can inspire you to take action in your own home, provide resources for learning more about design fundamentals and help you get inspired for a future home improvement project. Journalists and bloggers work to convey as much useful information to their readers as possible. Whether they provide an in-depth look at a new development in the world of design, research on the best Austin, TX vendors and resources for purchasing home furnishings, step-by-step instructions for completing a home improvement project successfully from start to finish, or inspiring images and thoughts on styles and trends in the home, blogs and other media provide endless resources for people interested in home design. Here are some related professionals and vendors to complement the work of media & bloggers: Photographers, Interior Designers & Decorators, Architects & Building Designers.